A native of Birmingham, Alabama, Elizabeth Covington has always believed in the Samford University value of service to God, family, one another and the community. Covington’s professional and research interests include antimicrobial stewardship strategies, as well as innovations in infectious disease education. 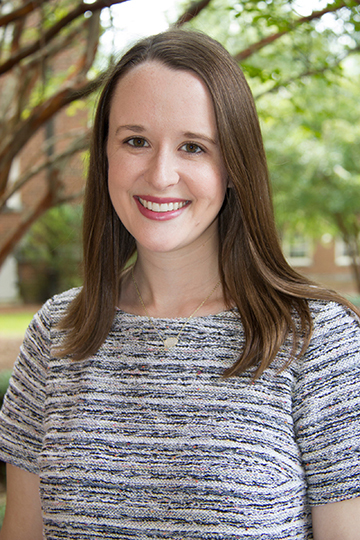 She maintains an active practice site at Jackson Hospital in Montgomery, AL, serving as a clinical pharmacy specialist on a general medicine floor. In her spare time, Covington enjoys Auburn football, baking, spending time with her family and loving on her pets. Garza KB, Owensby JK, Braxton Lloyd K, Wood E, Hansen RA. Pilot Study to Test the Effectiveness of Different Financial Incentives to Improve Medication Adherence. Ann Pharmacother. 2015;50(1):32-38. doi: 10.1177/1060028015609354.